My name is John Dulmes, and I’m the executive director of the Michigan Chemistry Council. 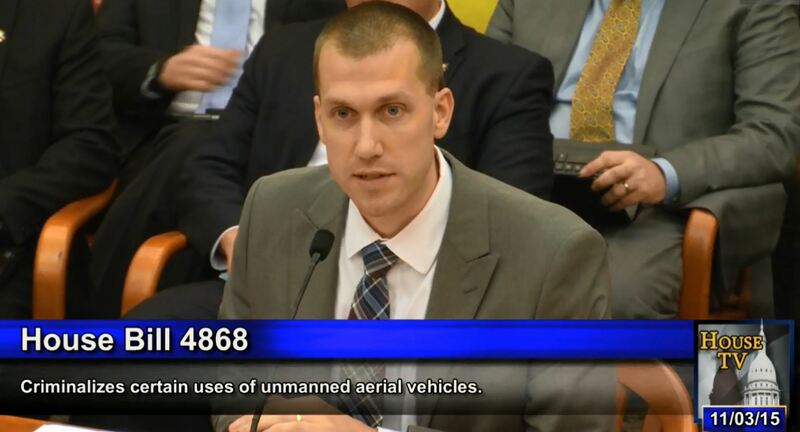 On behalf of my members, thank you for the opportunity to provide testimony on the issue of drone security and the chemical industry. Chemistry is our state’s third-largest manufacturing sector, and our companies support nearly 120,000 Michigan jobs and generate $127 million in state and local taxes. 96% of all manufactured goods are directly touched by the business of chemistry, making our industry essential to every facet of Michigan’s economy. While drone technology is promising, it also raises a number of questions and concerns, particularly about potential security threats. Along with refineries, power plants, and water treatment facilities, chemical facilities are generally recognized as a crucial part of the nation’s critical infrastructure. Of course, our industry is committed to the safety of our employees and the communities in which we operate, and chemical companies nationwide have invested more than $14 billion to enhance physical site, transportation, and cyber security at their facilities under the ACC’s Responsible Care initiative. Many of our members are additionally regulated under the Department of Homeland Security’s Chemical Facility Anti-Terrorism Standards (CFATS). As the federal government and states consider further drone regulations, we feel it is necessary to ensure that sufficient protections are in place to prohibit the intentional misuse of drones over chemical facilities. We have provided you with a copy of language modeled after legislation enacted in Louisiana and several other states. This language would prohibit the intentional over-flight or surveilling of a critical infrastructure facility, or unauthorized distribution of such information. It would provide additional protection from possible dangers to our facilities. As an example, drones that malfunction over a chemical plant could fall into an active chemical process unit and create a safety hazard. Furthermore, drones could capture videos or photos of a chemical plant layout, revealing sensitive security information that could be later used for deliberate harm. In a worst-case scenario, drones themselves could be used as direct weapons against chemical plants. While our member companies have done much to ensure the safety and security of their facilities, drones unfortunately present a multitude of unpredictable concerns. We understand this is an emerging area with many considerations, and we greatly appreciate the opportunity to share our perspective. We look forward to working with you on our suggested language.